I am obsessed with wallpaper, always have been, always will be, I even designed my own wallpaper for our bedroom and the girl's nursery which was digitally printed a few years ago. 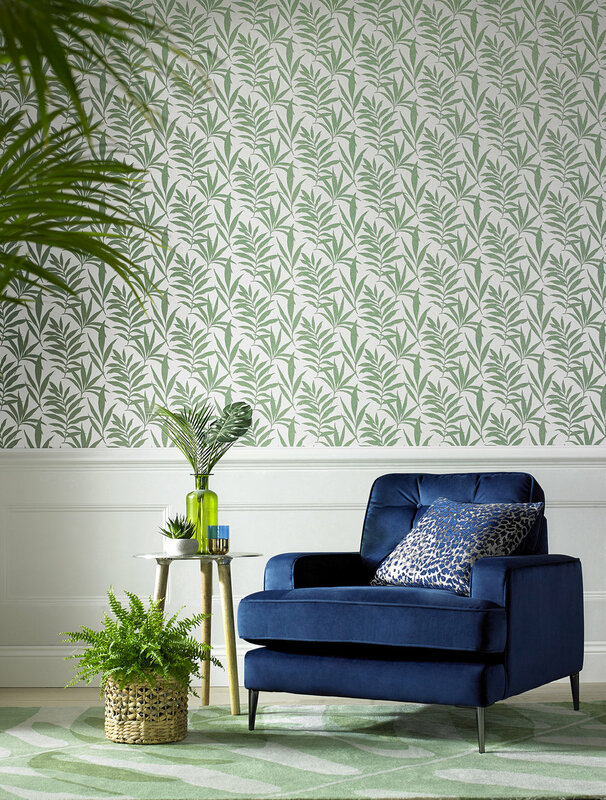 Like so many of the wallpapers on the market today, digital is becoming the most popular way to print because it's so cost effective and quick. BUT it's not all about jumping on the digital bandwagon. Believe it or not there is a factory in the North of England who still print wallpaper using methods and machines from over 100 years ago, and so when I was invited by 1838 Wallcoverings to have a tour of their factory and a peek at their luxury new wallpaper collection, I jumped at the chance. Nestled away in the unassuming streets of Clayton Le Moors in Lancashire sits the formidable 1838 Wallcoverings HQ and factory. A family owned business who remain true to their heritage by manufacturing with the same printing techniques and machinery used by their ancestors. 1838 is the year that Charles Potter with the help of his brother Harold and Walmsley Preston, a former machine printer, who had an impressively innovative and technical mind, applied themselves to adapting the principals of the Calico printing machine to the requirements of wallpaper production. Creating the revolutionary Surface Print machine was the end result which to this day is used at the factory. If you've ever picked up a roll of surface printed wallpaper like this GIO print above and a digitally printed wallpaper you will be able to immediately tell the difference. Unlike a digitally printed wallpaper, using the traditional style of surface print gives the wallpaper a beautiful texture to it, a sort of hand-painted effect which looks and feels totally different. Surface printed wallpaper is luxurious and more expensive and when I visited the factory it was easy to see why. The traditional surface printing machine uses giant rotating rollers to print a design onto the paper as it's fed through the machine. The wallpaper design itself has to be engraved on the heavy rollers (which is the expensive part) and for more complex and multi coloured designs, more than one roller is used to apply separate layers of colour and pattern to the paper. Colour mixing and matching is done entirely by hand to achieve the exact colour specification, by eye alone, which I find amazing! These are the giant rollers which are used to print onto the wallpaper using the traditional surface print method, as you can see it's very hands on and these machines rely on a huge amount of human skill and physical labour. This is a shot of a wallpaper getting a cream base layer on which the rest of the design will then be printed onto. It will have to be dried and then fed through the machine again for the rollers to print the design, in real time this happens incredibly quickly due to the huge industrial style dryers within the machine. The LINEA wallpaper by 1838 Wallcoverings being printed, you can see the wallpaper has lots of texture on the design itself which will be even more visible on the finished product because of using this method. Achieving a stunning Flock design like this VERDI print above was especially amazing to see. I've always wanted to know how the raised texture is achieved on the often bold designs and colours true to the period in which Flock wallpaper was most popular in the 18th century. Flocking or Beading is the process of printing an adhesive on a non-woven substrate then attaching either a nylon fibre or acrylic bead by a sprinkling process. Similarly to the surface print method, a base layer of colour will be added to the paper before the flock is added, almost always in a single colour, like this grey design. These are the bags of flock which are stored directly above the flock machine in a temperature controlled room. They are added to the wallpaper via a shoot which you can just about see by the two sets of railings. There are lots of different colours and a mix of non fibre and acrylic beads. It was so fascinating to see the ins and the outs of wallpaper production and to see how many skilled people are involved in the process. Having had the tour of the factory it was lovely to then see the collections and the final sample books being sent out to the worldwide stockists and I don't think I'll ever look at a roll of wallpaper in the same way again without appreciating how much work goes into creating the end product. 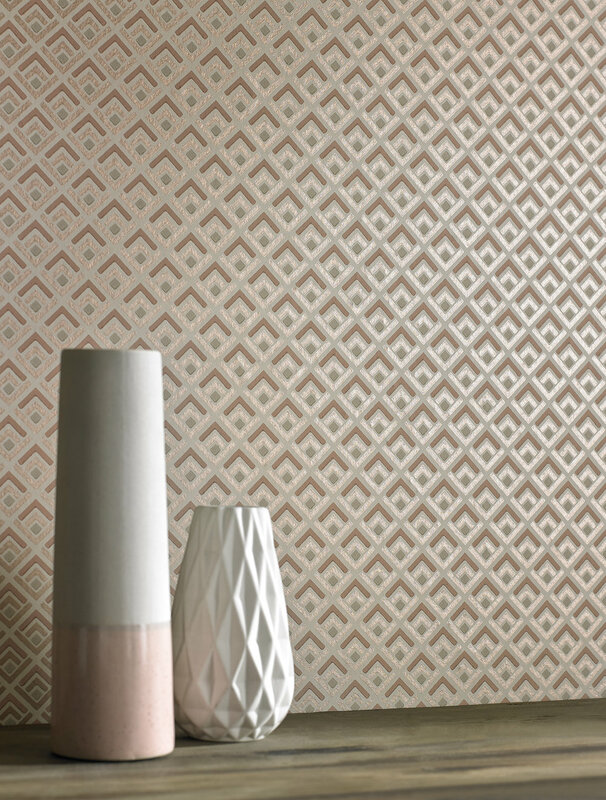 1838 Wallcoverings have a gorgeous new collection which I also wanted to share with you, all printed on non-woven paper which allows for easy paste the wall application. Look at these lovely designs! 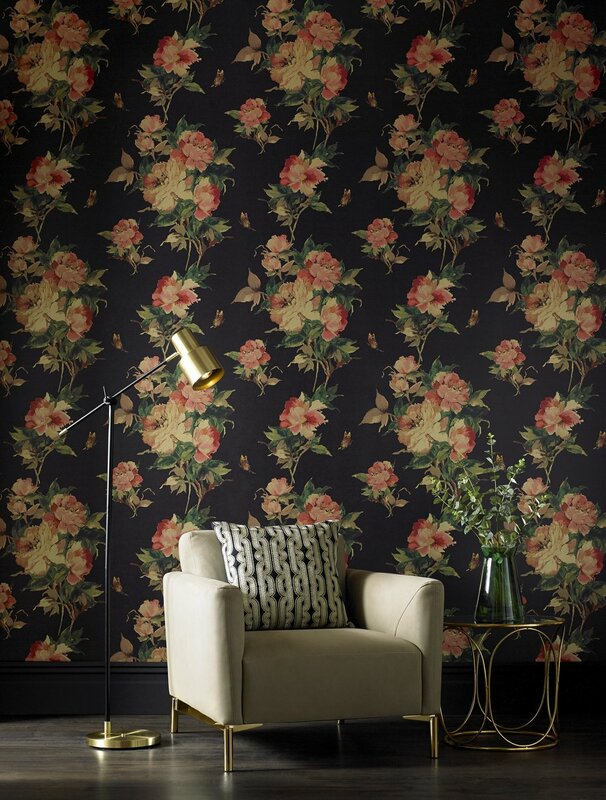 I particularly like these bold florals from the Camellia collection. See the full collection HERE and in celebration of International Wallpaper Week, 1838 Wallcoverings have a fabulous competition in which you can win 3 rolls of wallpaper! Enter HERE! Do you have a wallpaper obsession too? 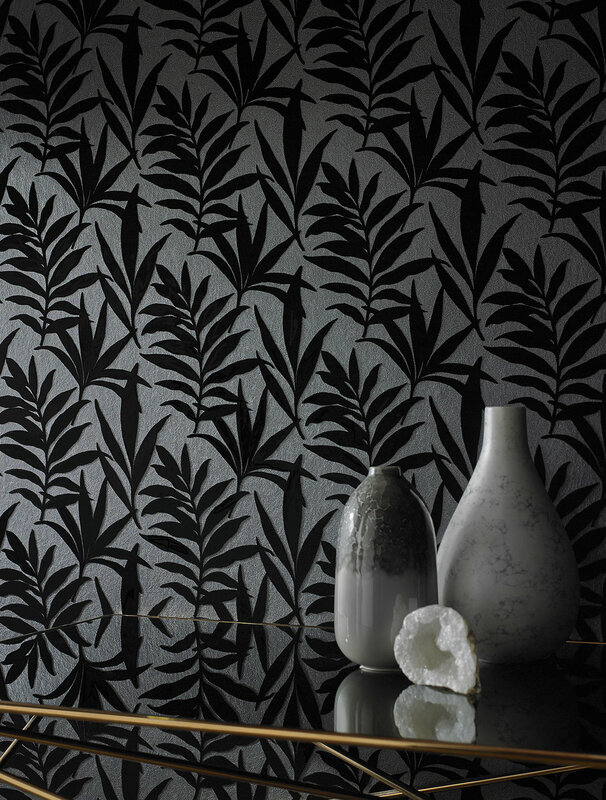 I would love to see what you think of the factory and 1838's lovely new wallpapers!